The heat recovery ventilating device YBPK-50K (LQ50/200К) is a channel variant of the device YBPK-50 (LQ50/200), a update of it. It has kept the main advantages of the prototype, device YBPK-50 which has won competition among the best Russian innovative projects 2009 - 2010. All basic technical decisions of the prefiguration, its component parts has been kept in the new device. 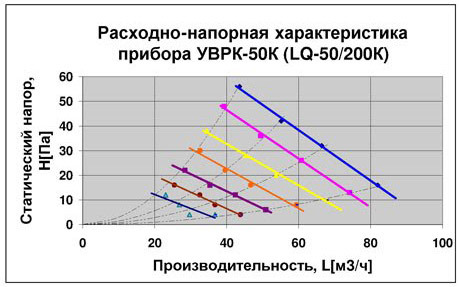 LQ50/200K realizes the same principle of work, it has the same parameters. 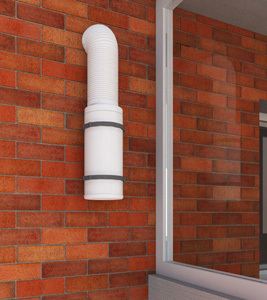 It has allowed to create as much as possible economically new updating - the channel ventilating device, a device for the comfortable ventilation of apartments and the heat saving up. The device is intended for placing on a balcony, a loggia, including to the glazed loggia. 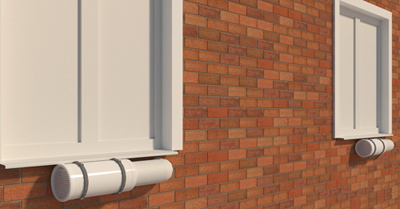 To connection with a room can be used the elements of system of round or flat ventilating channels or flexible air lines of different manufacturers which are on the sale in a retail network. Devices YBPK-50 (LQ50/200) and YBPК-50К (LQ50/200K) can be shared in one apartment. Channel device YBPK-50K (LQ50/200K) gives to the consumer all advantages of device YBPK-50: the heat efficiency, profitability, the frost resistance. At the same time device YBPK-50K (LQ50/200K) has some advantages. 1. 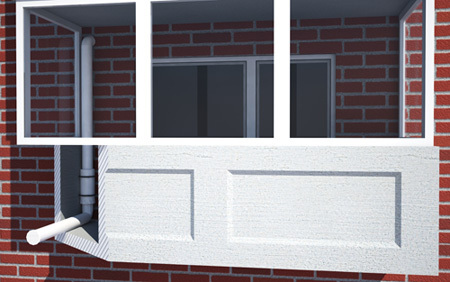 The device YBPK-50K can be used in the buildings which facades are completely closed by the glazed loggias. Installation of devices YBPK-50 in such buildings was impossible. 2. 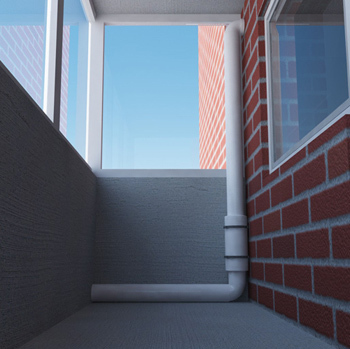 The device YBPK-50K can be established on an open balcony or on a wall within reach from a balcony. 3. The device YBPK-50K can be established under a window. 4. The channel in a wall of a room for YBPK-50 can less, than 220 mm which were required for device YBPK-50. 5. The noise getting into a room can be reduced. In a ventilating network of the device can be included a effective sound damper. The quantity of steps of regulation of air flow is reduced to seven. The diagram "air flow vs pressure" is given for calculation of air flow of the device as a part of a ventilating network . **/ it is define noise muffle which will be built in an the duct and sound insulation of the duct.